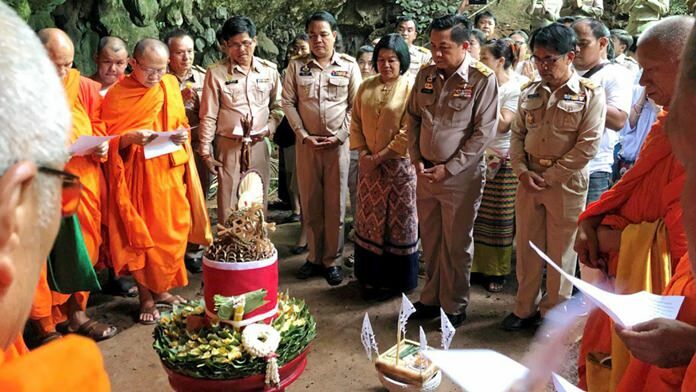 Chiang Rai – A religious and spiritual ceremony has been held at Tham Luang Cave to appease its spirits after authorities were able to successfully rescue 13 members of Moo Pa Academy youth football team from its inner caverns. 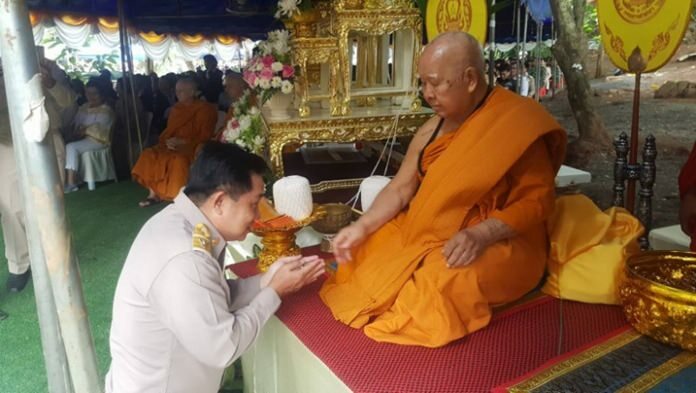 A Brahmin Lanna ceremony took place at 8:09 a.m. Monday before Buddhist monks performed a blessing at 9:09 a.m. and prayers began at 10:09 a.m. One of the prayers was in dedication to former Thai Navy Seal Saman Kunan, who lost his life during the rescue operation. 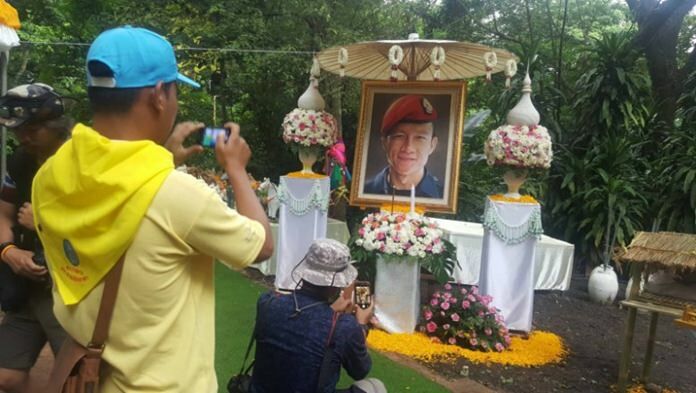 Former head of the Tham Luang Cave rescue mission and now Governor of Phayao province Narongsak Osot-thanakorn, alongside current Governor of Chiang Rai Prajon Prachsakul, chaired the proceedings with many Chiang Rai locals and the faithful from nearby provinces in attendance. 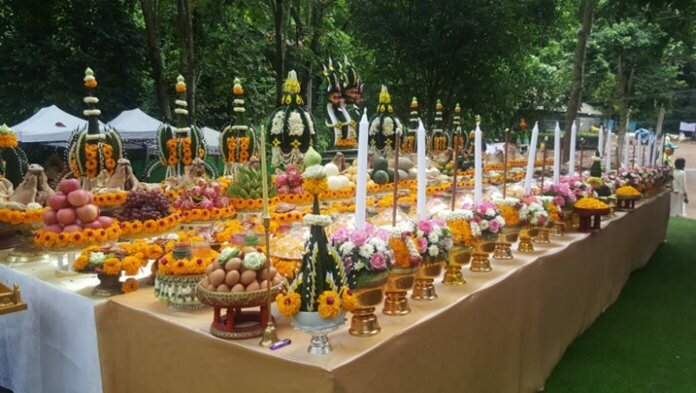 In the afternoon, a Lanna cleansing ritual was held ahead of a Lanna cave closing ceremony. Both are believed to remove any ill-intentioned spirits from the area and protect others from losing their way in the cave.